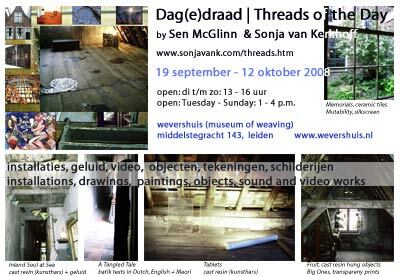 Web: >> for use on websites. 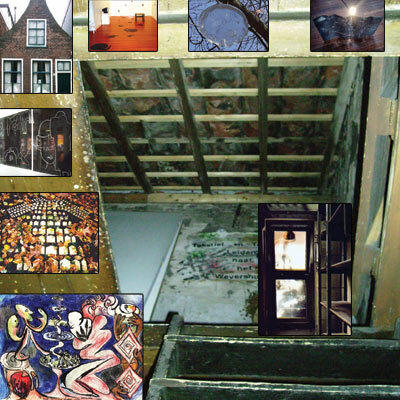 Print: CD covers, posters, colouring pages, etc. 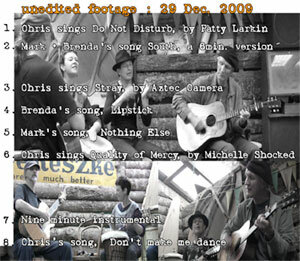 for a New Zealand contemporary folk musician. Kath wanted some reference to the Munch's painting, "The Scream", and you can see references to this in the figure and the sky. Other imagery comes from her lyrics such as a washing line (of memories), a river (of life), references to the rain, water, spirit and bones. Tongue-in-cheek humour and sharp commentary dominate her songs, so I aimed for this, as well as mixing in some Maori-like references, such as the step-stairway tukutuku design (a symbol for self-development). 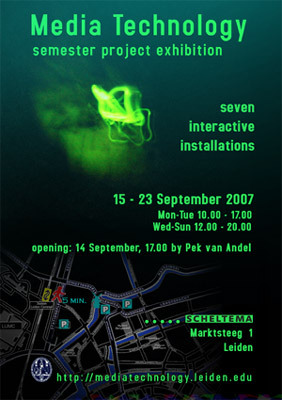 For a design book made by students in interactive design at the Ghent University. I was invited to submit a page of my own art work for a double A4 layout. 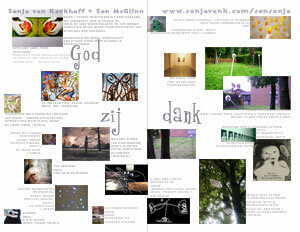 I used the text "God zij dank" (thank God) in the middle in response to the name of the publication: 'Godverdamme' (God be damned). 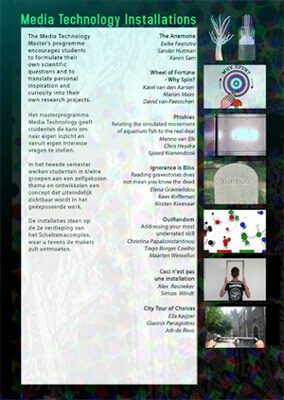 Texts next to the images are the titles, medium and year of each work. 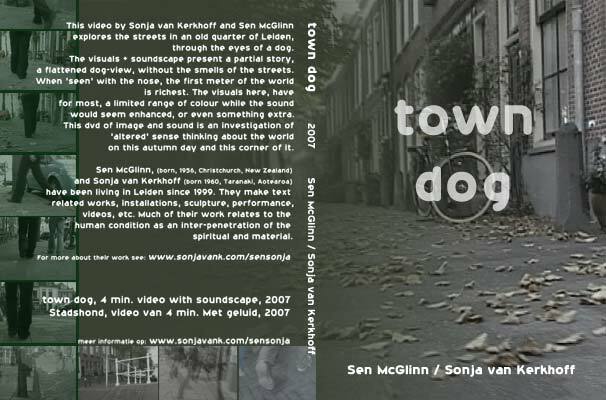 Print work for three uses: As a postcard, as half of the catalogue bookcover and as a cd cover. Showing various views of this sculpture with exhibition information on the reverse. 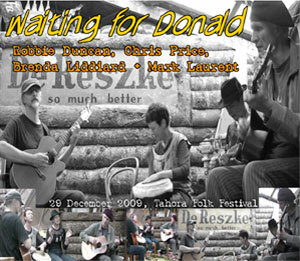 For a London singer/songwriter's 2010 festival tour in the U.K. The assignment was something quirky and yet simple, reflecting the character of the show, a middle-aged woman who oftens gets herself into trouble by forgetting her manners. I decided on leaving it just in black and white, so it could be printed out as a colouring page, but mainly because next to the full colour posters, it will stand out. I asked Kath to send me various stickers she made herself to go onto the guitarcase of this obsessive woman. 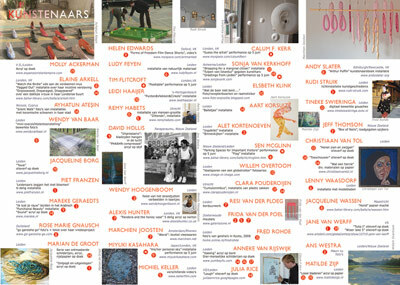 >> And a page design for the Leiden Artist Open Studios book. 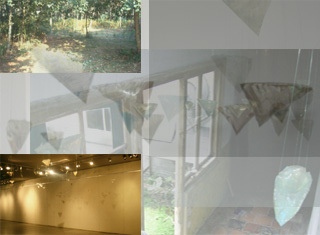 Showing an exhibition of installations in a historic building. For an exhibition in London. 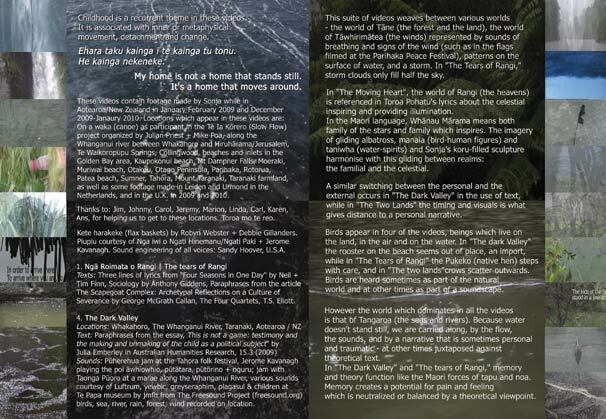 The bookmarker on the far left is my own promotional bookmarker showing my family, for personal use. 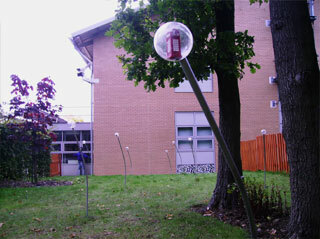 The other bookmarker was designed for the Kath Tait, a musician. It shows the covers of her 3 cds on one side and her website address on the other. Each is 10 x 19 cm and plastified for durability. View some colouring pages here >>. Prices start at 200 euros each and depend on the complexity of the drawing required. All drawings are suitable for both print and web. 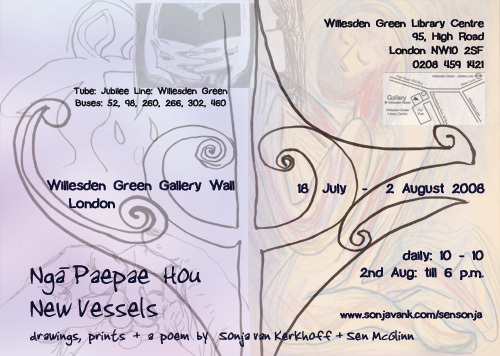 Go to the website for larger views of the printwrok as well as for impressions of the show. A Bahai prayer in New Zealand Maori designed for an installation by Japanese London based artist, Miyuki Kasahara. More about this on my art website. Web banners and other animations for websites to come.